The picture depicts the Bridge and the Bridge Gate. The Citadel is located on the left peak of Mount Silpius in the background. The southern wall is clearly seen to the right. Among the leaders of the first Crusade were noblemen like Raymond IV, Count of Toulouse, Godfrey of Bouillon, who later became king of Jerusalem, and Baldwin of Boulogne. Bohemund, Prince of Taranto in Italy, his nephew Tancred and Robert of Normandy, however, were warlords descending from the Vikings. Although the Franks, as the Muslim called the newcomers, were used to warfare Antioch proved to be a challenge: The walls of the city were very long and part of them was standing on Mount Staurin and Mount Silpius. The Crusaders simply did not have enough men to surround the city. 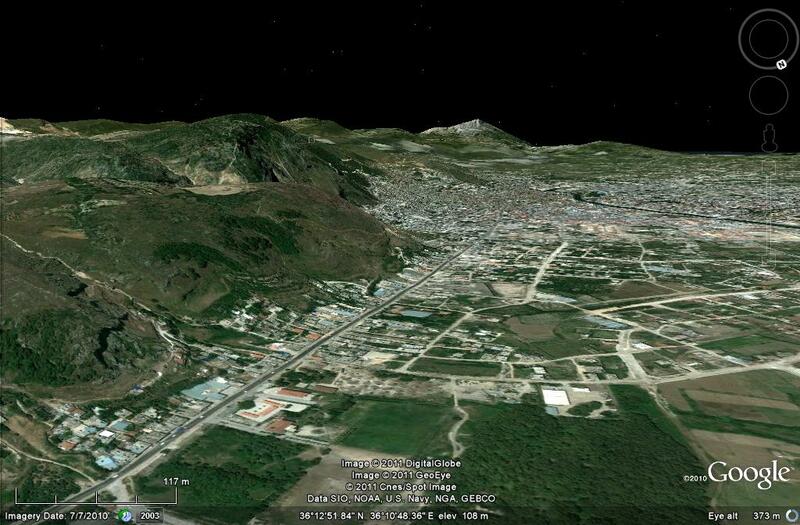 Besides, Yağı Siyan could sit in the citadel on the peak of Mount Silpius and watch every movement of the Franks. 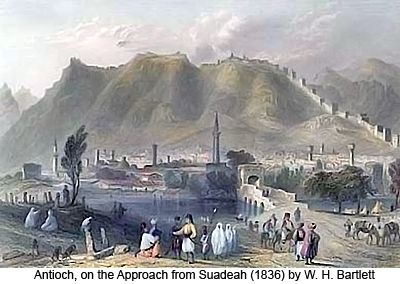 Antioch had at least five gates: the Beroea Gate on the road to Aleppo, also called St. Paul’s Gate, the Dog’s Gate behind the present municipality building of Küçükdalyan, the Duke’s Gate, the Bridge Gate in front of the mosque called Ulu Cami and St. George’s Gate somewhere towards the south. St. Paul’s Gate (the Beroea Gate) was situated close to the white building in the left side of the picture. Bohemund and his men had arrived at St. Paul’s Gate (the Beroea Gate), so that was where they encamped. Raymond settled in front of the Dog’s Gate and Godfrey at the Duke’s Gate. The place chosen for his camp was swampy as it was situated between the wall and the River Orontes where the western and eastern branches of the Orontes used to meet. Later Godfrey moved his men to the western bank of the river. What is left of the Dog’s Gate. The Duke’s Gate was located at the end of the broad street with the green centre strip. The city walls used to run along this street. Godfrey camped in the green area to the left. 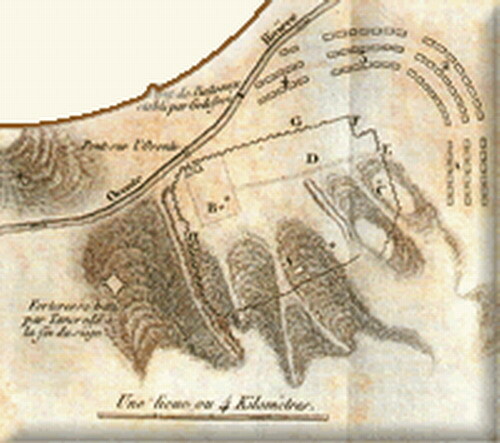 An old map showing the Crusader camps outside Antioch. The Crusaders did not have enough soldiers to guard the Bridge Gate and St. George’s Gate. Consequently, the siege was a rather half-hearted affair. Inside the city, Yağı Siyan had arrested the Orthodox Patriarch of Antioch and occasionally he put him in a cage on the wall to mock the Crusaders. Furthermore, those inside the walls were well fed while the Crusaders outside had a problem. In December, Bohemund and Robert of Flanders found it necessary to leave to find provisions for the Crusaders. They left at night on December 29, but the Turks immediately found out that about 20.000 soldiers were missing from the camp. Consequently Yağı Siyan and his men made it across the Bridge at the Bridge Gate and fell upon the Franks at the Duke’s; Gate but the Crusaders managed to beat them back. Later Bohemund and Robert had to return to Antioch more or less empty-handed. And now as the torrential winter rain of Antioch set in, people started to die from adverse weather conditions and hunger. In March ships from Europe arrived at Seleucia (Çevlik) with provision and material for siege engines. 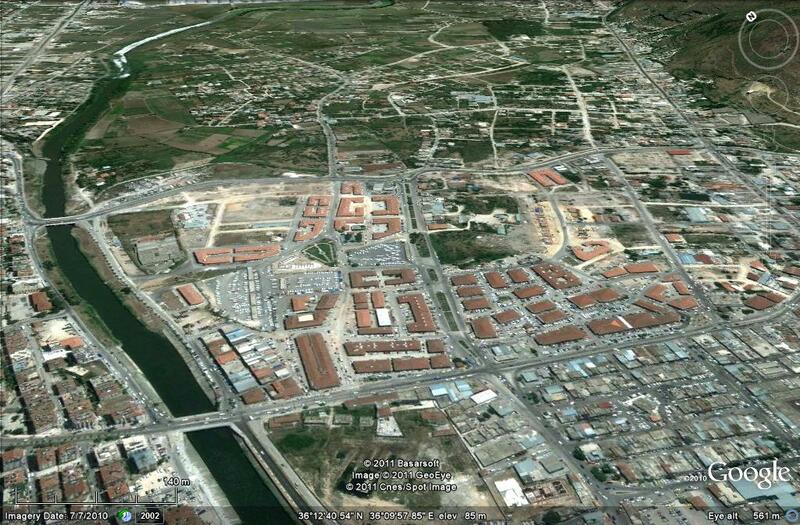 When the Muslims inside Antioch got to know of it they ambushed the Crusaders who returned with goods from Seleucia. 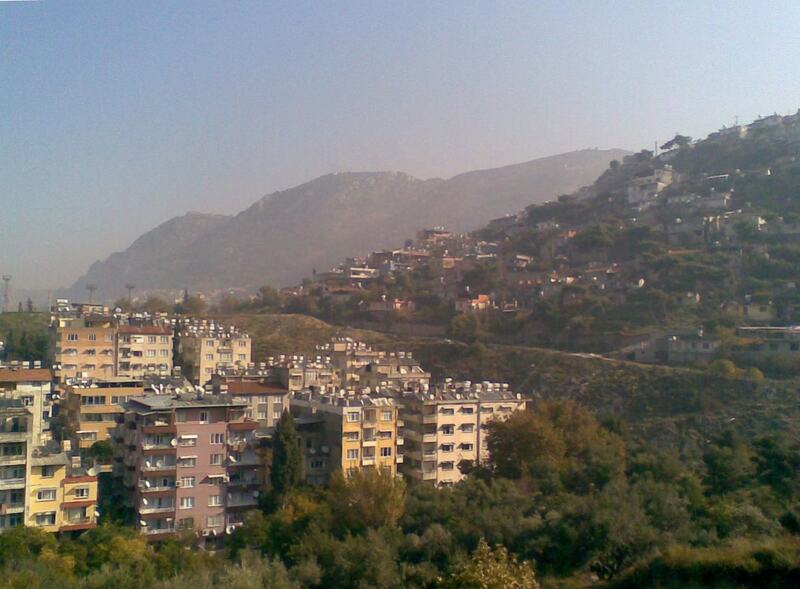 As the ambushers returned to the city Antioch, the Muslims there came out to chase away the interfering Crusaders. Godfrey, however, made his stand and about 1.500 Turks were killed. 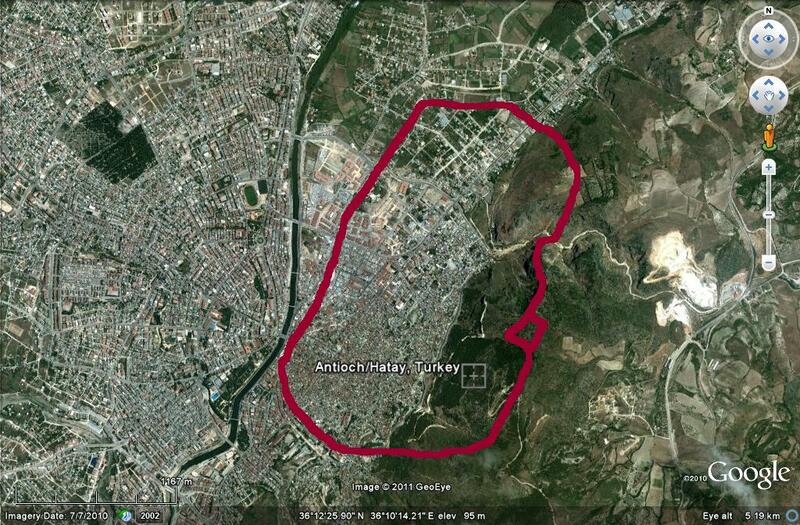 Very likely this battle was fought in the area between the Bridge (Köprü) and the modern Park of Antakya (Antakya Belediye Parkı). The Crusaders now decided to build a tower at the Bridge to be able to check the sorties of the Muslims from the Bridge Gate. The tower was called the Tower of Raymond. 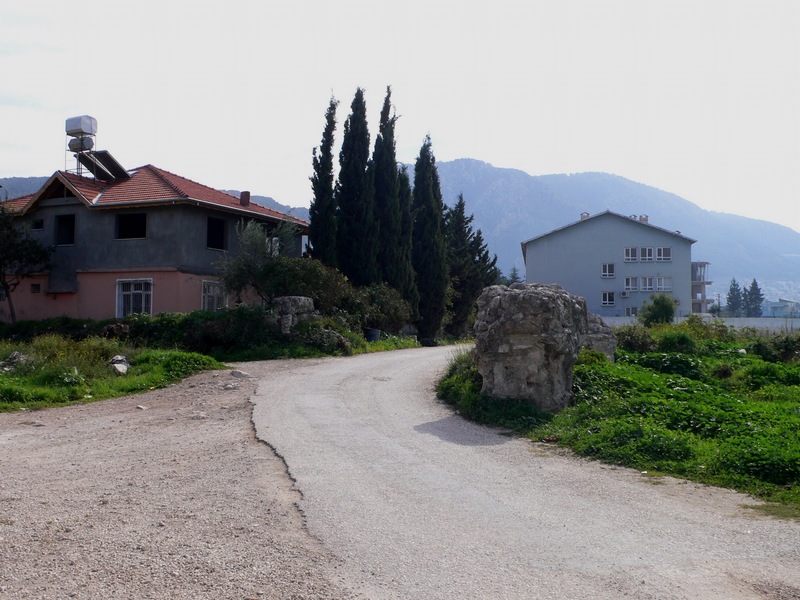 We guess that it was located close to the roundabout in front of the Bridge (Köprü). At the southern wall Tancred, the nephew of Bohemund, fortified a monastery outside the Gate of St. George. It was called the Tower of Tancred. If we are to believe the old map above, the Tower of Tancred must have been located somewhere on this slope. In the background we see the three peaks of Mounn Silpius. The Citadel is on the one farthest off. In May Kerboğa, the Emir of Mosul, set out for Antioch. Thus the Crusaders had to take the city as soon as possible. Otherwise they would have to face the army of Kerboğa with Yağı Siyan and his army at their rear.
. August C. Krey, ed., The first crusade; the accounts of eye-witnesses and participants (Princeton: Princeton University Press, 1921), 149, 150 (Raymond).